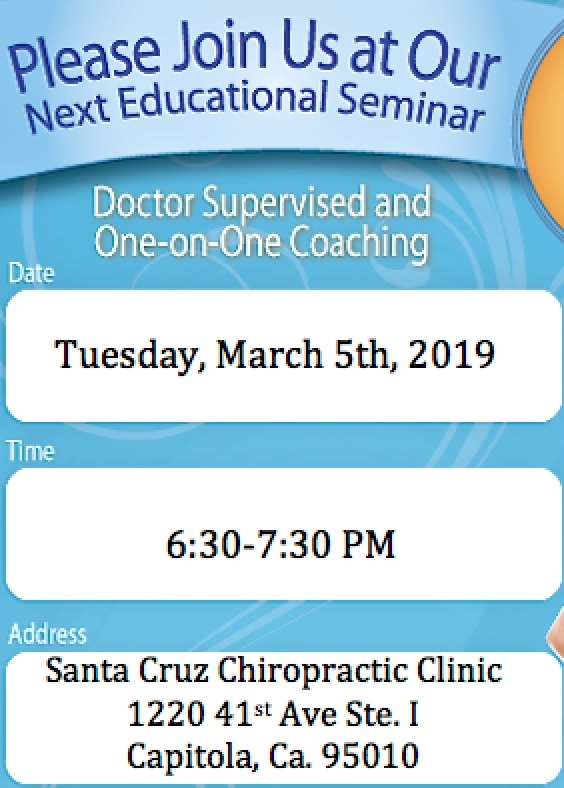 Santa Cruz Chiropractic | Drs. David Love & Rick Sproule | Since 1983! Gentle Therapy for Chronic Pain. This non-invasive pain relieving technology offers a highly effective alternative to surgery and injections when an injury reaches the chronic, non-healing state. Serving Capitola and Santa Cruz areas since 1983, Dr. David Love, Dr. Rick Sproule and Dr. Aaron Van Brunt strive for excellence through superior patient treatment, education and satisfaction. Within this website you will find all types of health and wellness related information. Information about our office and services, chiropractic, diet and nutrition, back and neck pain, work and auto injuries, a monthly health newsletter and much, much more. Chiropractic is a natural, drug free health care that focuses on correcting the causes of physical problems rather than addressing just the symptoms. Chiropractic is based on a powerful premise: with normally functioning nerves, joints and spine, the body is better able to heal itself, function properly and stay healthy. As chiropractors, we focus on the health of the spine and nerves, and work to restore the health of the entire body, using a personalized approach to overall wellness through spinal adjustments, diet and exercise, good nutrition and stress management. Health is freedom. To offer people a different paradigm about health and wellness by promoting natural healing with chiropractic, nutrition, and a healthy lifestyle. Through educating and cooperating with our patients and other health care practitioners, our overall goal is to improve our patients' quality of life and enhance their performance at home, work, and play.